Demonstrates my ability to work creatively within given design parameters. 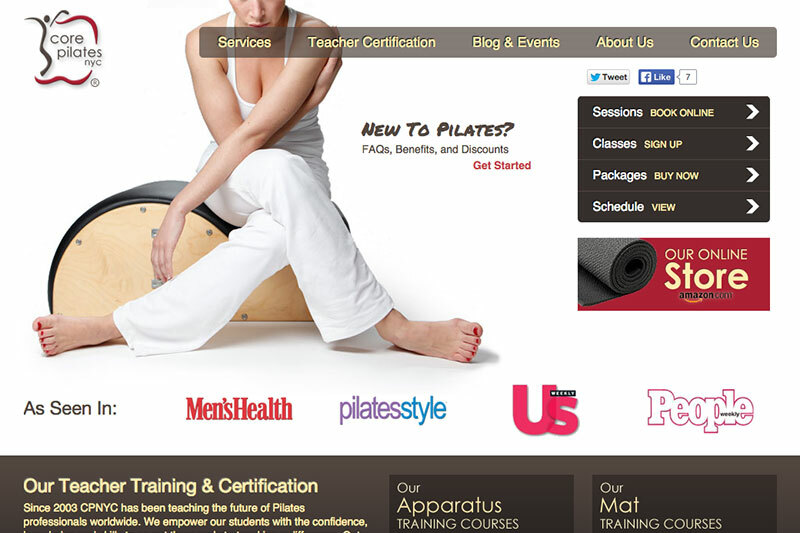 Core Pilates NYC is a very large site that required the creation of dozens of page templates. Working with another developer I built several of the templates and worked to rationalize a fairly advanced information architecture. In addition I wrote SEO content for the site including articles and meta-descriptions. Finally, I created some of the promotional elements on the site.